Tam and I can’t speak highly enough about Tim!!! He is an extraordinary teacher. We are so excited to be able to share the evening with him at the Civic Center in Jupiter and with all of you. 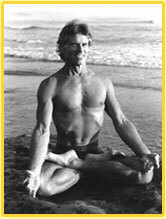 It is a rare treat to study with someone who has been active with the yoga for over 30 years. It is an inspiration to be around him because he is so extremely talented and yet he is so humble. We can’t wait to see you there! !